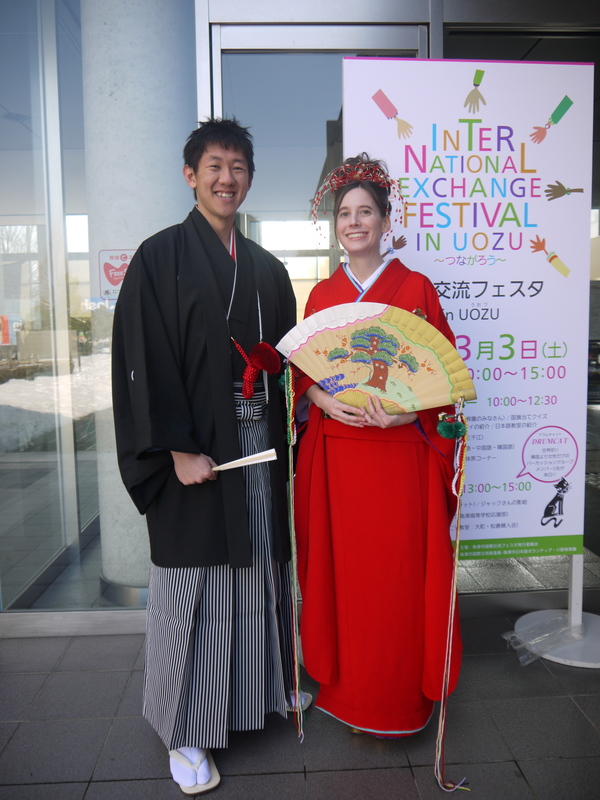 This is the first in a series of posts about life in Japan and life as a member of the Japan Exchange and Teaching Program (JET). Please write any questions you would like me to address in the comments section below. The outside of my apartment building. If accepted into the JET Program, your Contracting Organization (CO) or Board of Education (BOE) will determine your housing situation. Rent, size and money deposits will be different for every JET. More often than not, you will live in the same apartment as your predecessor. Homes are usually located near your main workplace, close enough so that most JETs I knew could walk or ride their bicycle to work. 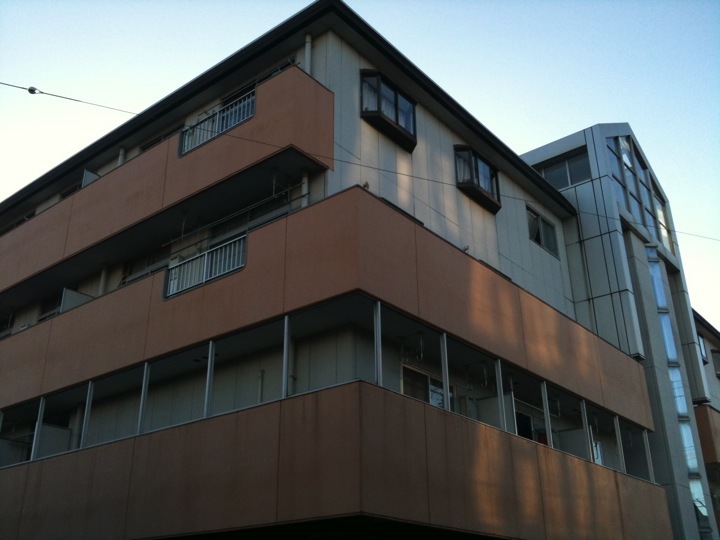 Apartments in Japan are often called “1K,” “1DK,” or “1LDK” based on the number of rooms. A “1DK,” which most single JETs seem to live in, means you will have a kitchen and separate bedroom. If you are married and/or have a family, your CO will likely organize a larger apartment for you and your loved one(s) to live in. 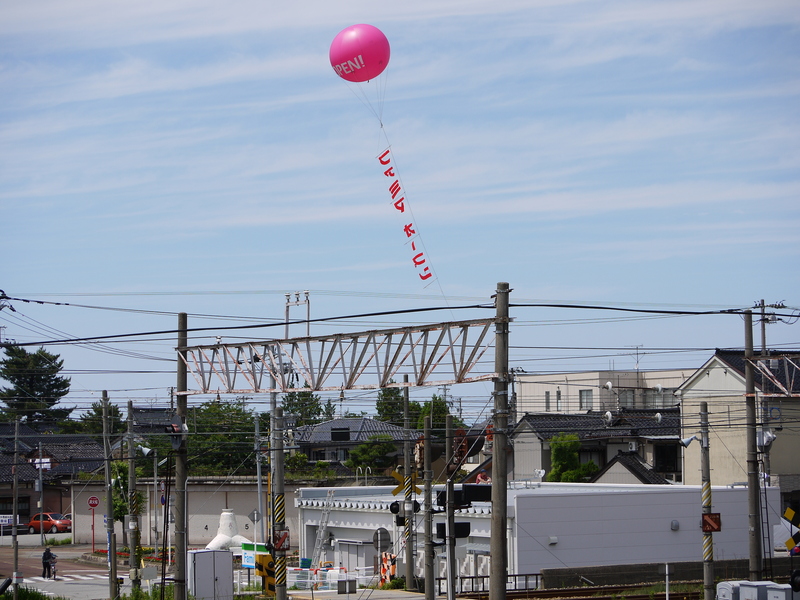 You are technically obliged to live in your apartment for at least one year, so it is unwise to say you want to find your own housing, especially given how stringent some Japanese renting companies can be when it comes to dealing with non-Japanese people. However, if after one year you really want to move to another place, definitely talk in advance with your CO to make arrangements. This situation isn’t ideal — and it’s not guaranteed your CO will help you move to another place — but it’s worth expressing your opinion if you feel like a move is necessary for your well-being. My BOE helped cover some of the cost of my apartment and I did not have to pay any key deposit money. 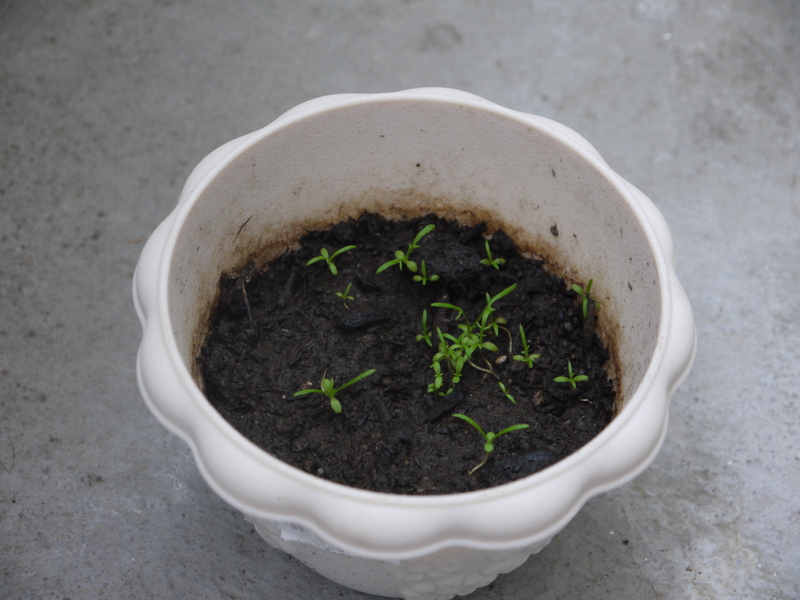 As a result of the subsidy, I paid 20,000 yen per month (about $200/month). 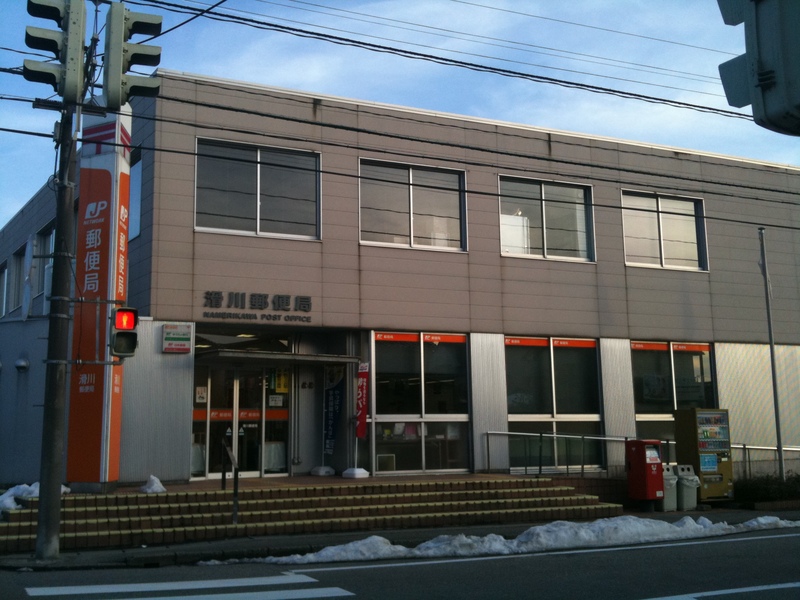 Electricity and water were not included, so total costs were around 30,000 yen per month ($300/month). Given my JET salary, I considered this a good deal. 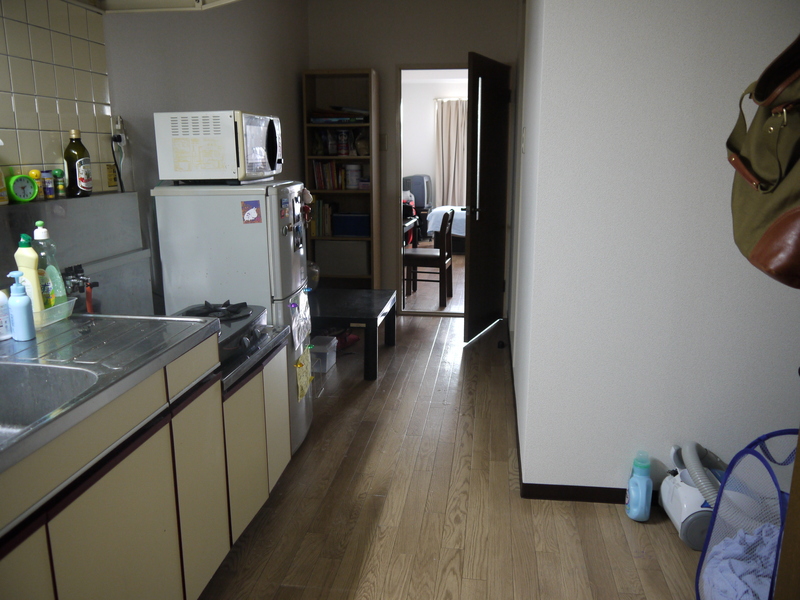 As you can see from the photos, my apartment was fairly narrow, but it suited my needs just fine for two years. Other JETs in the neighboring town lived in spacious houses and paid no rent, so it really depends case by case. I lived about 15 minutes by bicycle to my base school (i.e., the school I visited most often among my five). I also lived in the same apartment building as two other ALTs who worked at my town’s other junior high school and high school, in addition to a Coordinator for International Relations (CIR). This made my situation feel much more comfortable, especially at first when I was just starting out and noticed that my Japanese neighbors never spoke to me. Although you are not 100 percent guaranteed to live in the same apartment as other JETs, it is likely you will be fairly close to other JETs, especially if they live in the same town as you. The entrance (and kitchen) to my apartment. My BOE supplied me with basic furnishings (refrigerator, rice cooker, washing machine) and I bought all other major necessities from my predecessor, including a bed, bike and couch. You will likely not have a dryer in your apartment per Japanese tradition, so you will have to hang your clothes outside to dry when the weather allows it and/or visit a coin laundry to dry your clothes. If you need something that isn’t in your new home, check 100 yen stores first before looking at other more expensive stores or online (this is a trick I learned from my neighbor, Jenson, who helped me transition into my new home). 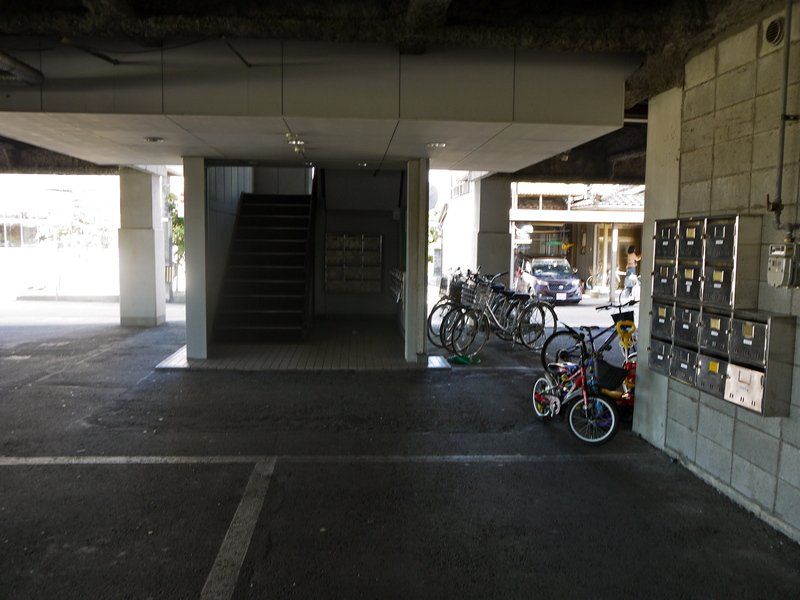 The bicycle parking area outside of my apartment building. Basil growing on the “balcony” of my apartment. I hope this answers your basic questions about apartment life. Again, please post any comments or questions below. 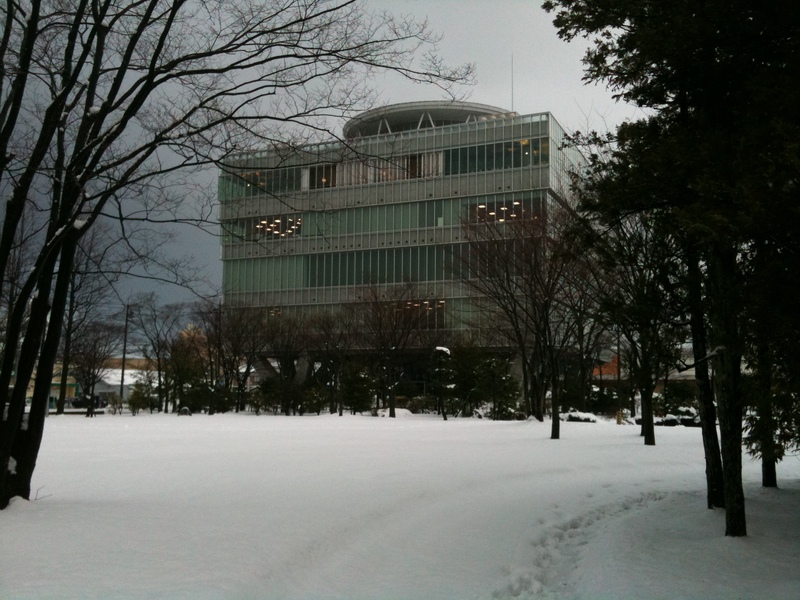 Toyama is a part of Japan’s 雪国(snow country) and the winter brings days and nights of endless snow. 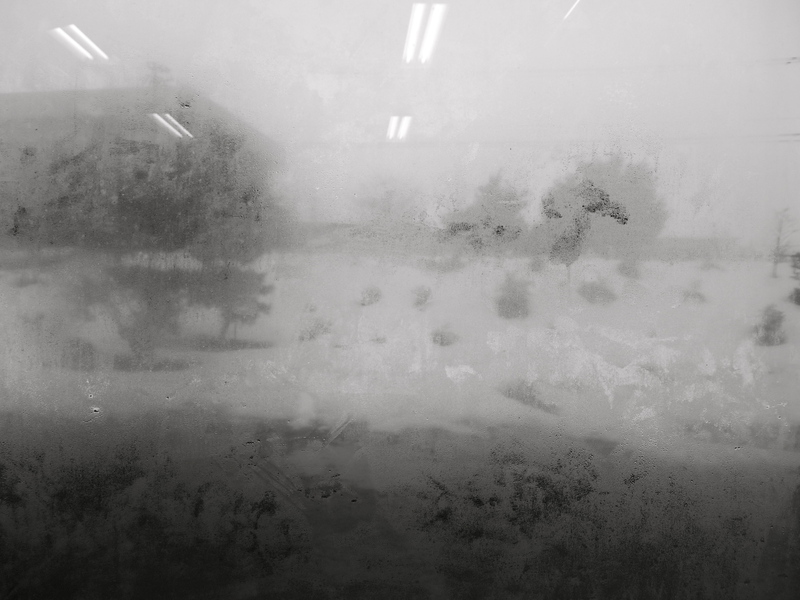 This is a picture of a frozen window at Hayatsuki Junior High School, where I worked as an ALT for two years until July. I love the imprints from my students’ fingerprints. One of my favorite places in the Toyama region is Gokayama, a small village tucked away in the mountains full of “gassho” style homes. These traditional houses are all built with a steep thatched roof said to resemble clasping praying hands (and protecting the homes from the heavy snowfall). 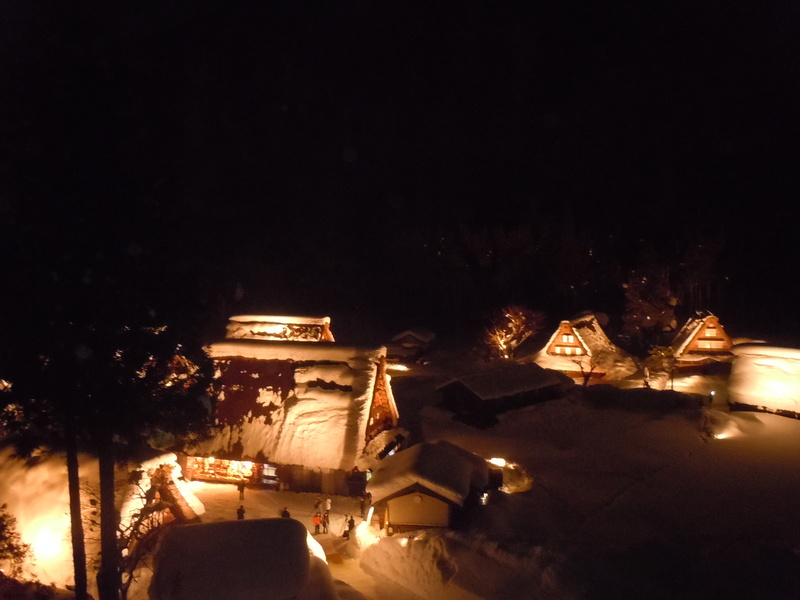 On certain nights in the winter, the village is lit up with candles, creating a mystical winter wonderland for everyone to walk around and appreciate the beauty winter brings. 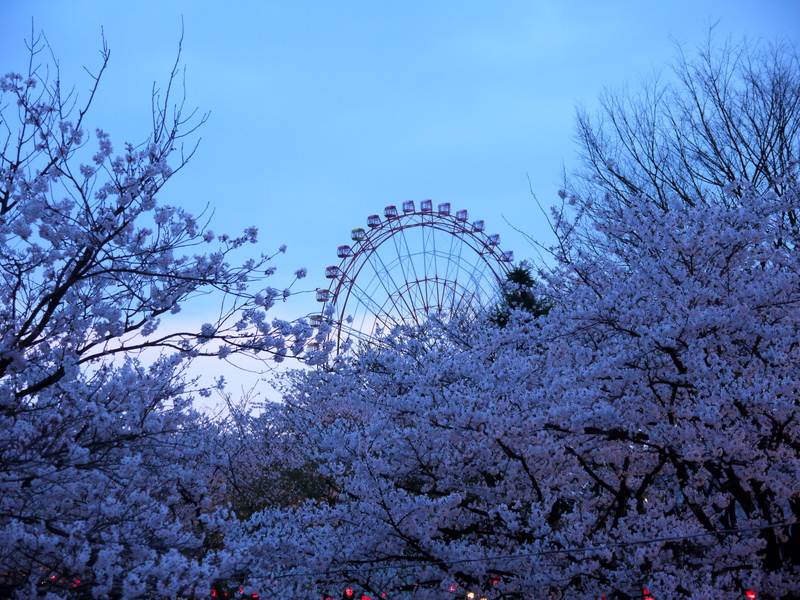 No year in Japan is complete without seeing sakura, or cherry blossom trees. 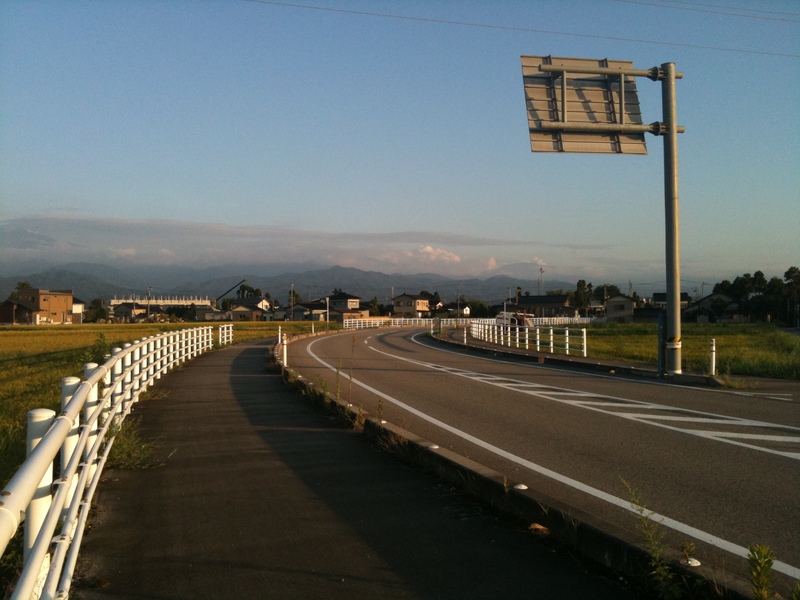 In late April, my friend Jenson and I biked to a park bordering Uozu and Namerikawa for the first time just as dusk was approaching. The blossoming sakuras and lit lanterns created a magical, very peaceful, atmosphere – a welcome gift after a long winter. I finally saw a geisha (or a woman dressed as a geisha). I love the stare this woman is giving to the person next to her. 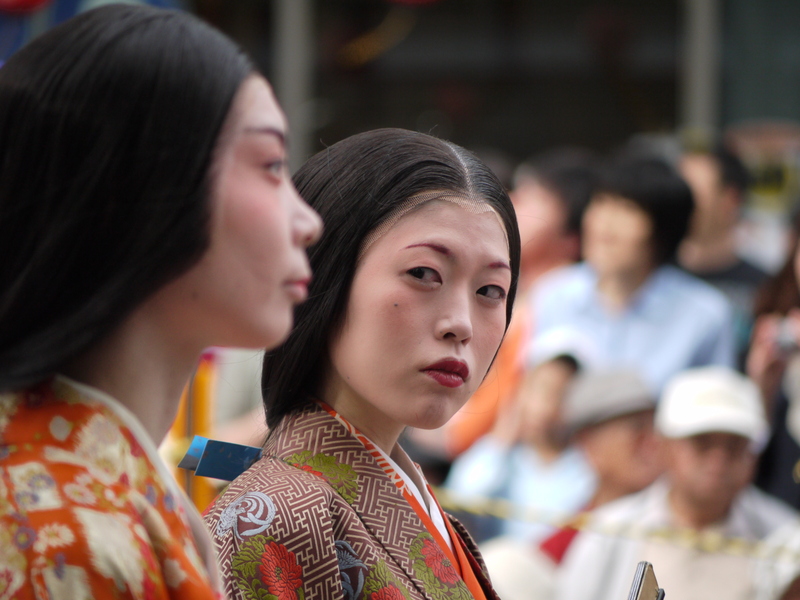 I saw her at the Kanazawa Hyakumangoku festival. 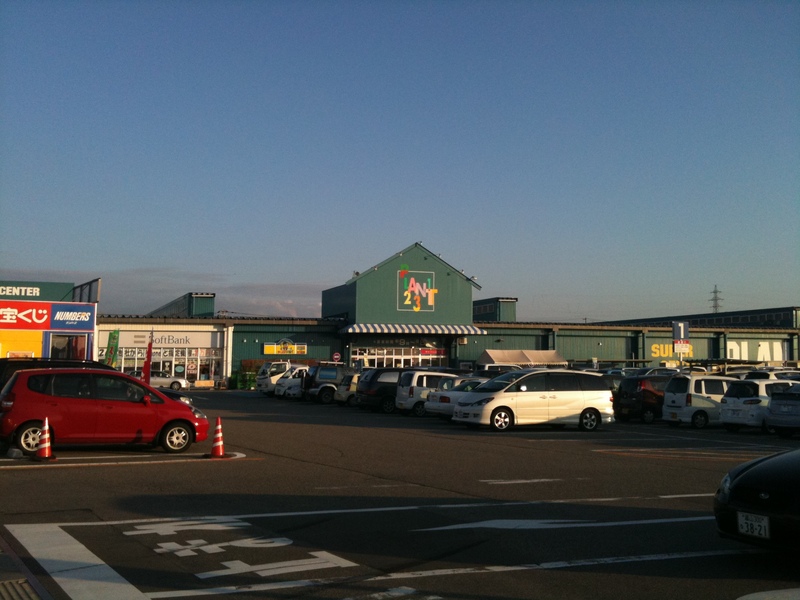 I spent my July saying goodbye to Namerikawa, the seaside town I lived in for two years. 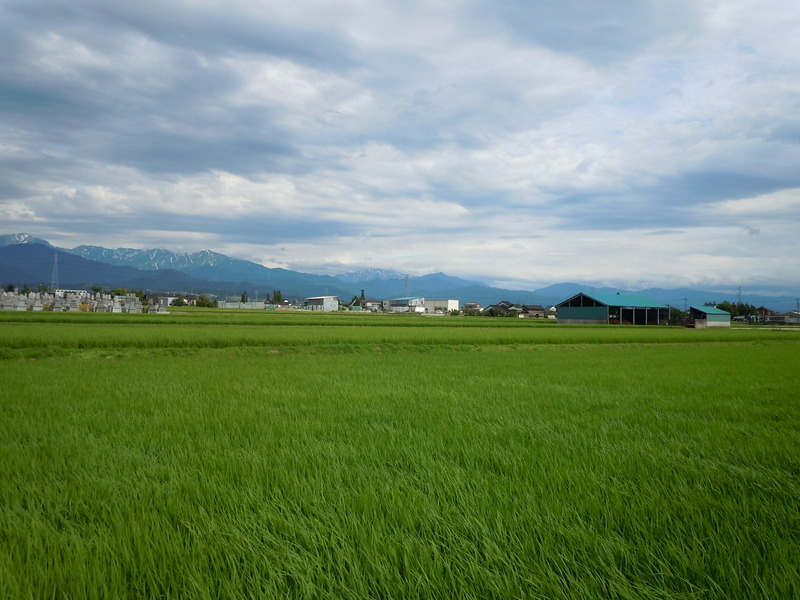 I took this picture while biking home from one of my elementary schools, likely teary-eyed at the thought of leaving the view of the Tateyama Mountain Range and open freedom of seeing rice fields upon rice fields. 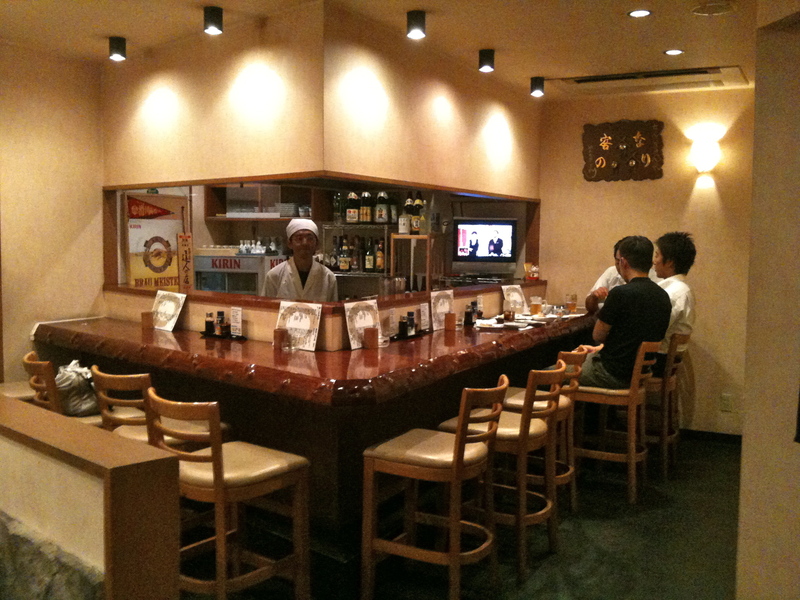 I spent most of my August in Hiroshima, studying at Hiroshima City University as part of the Hiroshima & Peace Program. 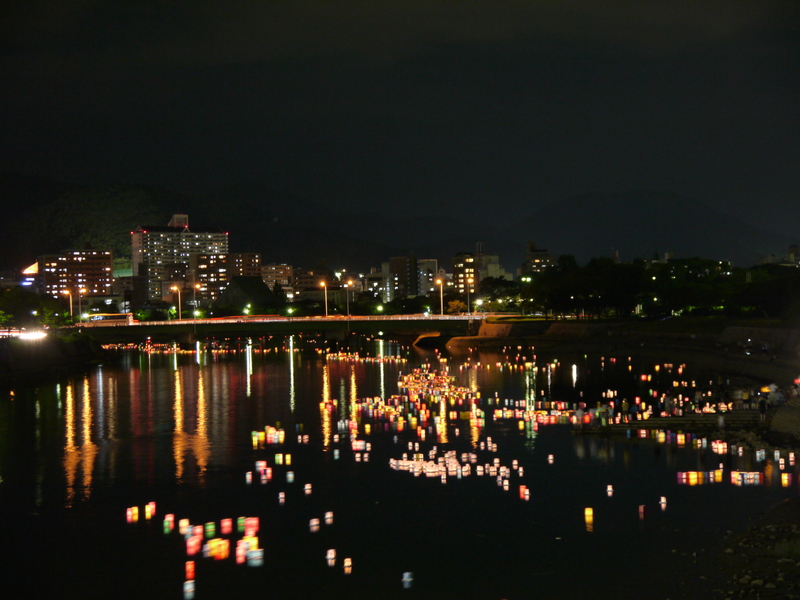 On August 6, the 67th anniversary of the atomic bombing, thousands of people gathered along the riverfront and set afloat paper lanterns in memory of ancestors, friends, and other loved ones lost – not only on that fateful day, but in wars and tragedies across many nations. I lit one in honor of all those who lost their lives in war, as well as my paternal grandmother, whose life story inspired me to apply for the program. 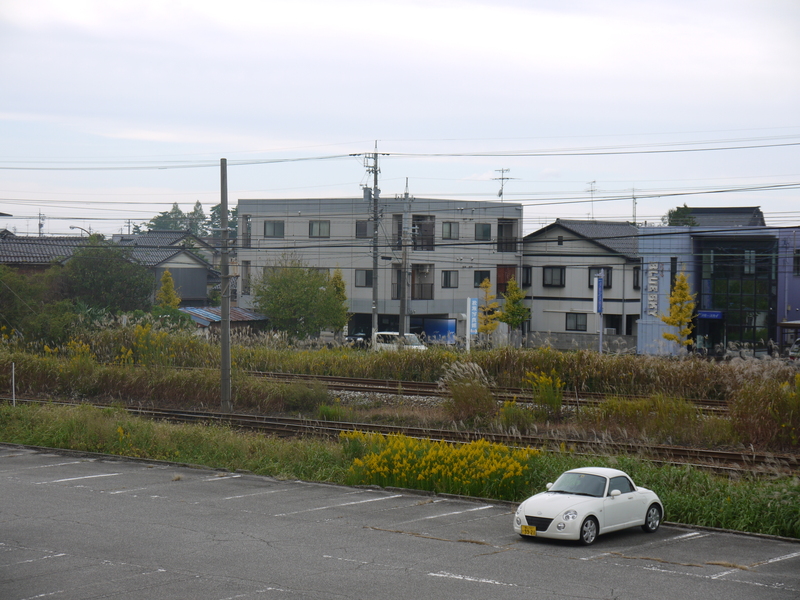 I moved to Matsuyama on Japan’s Shikoku Island in late August for a new job. 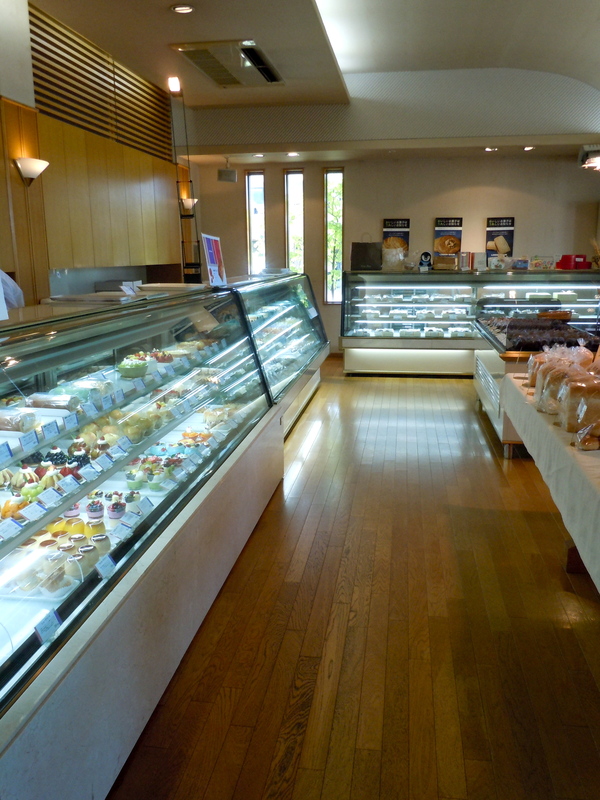 Matsuyama is the largest city in the otherwise rural Ehime Prefecture, and like Toyama, a kind of hidden gem in Japan. 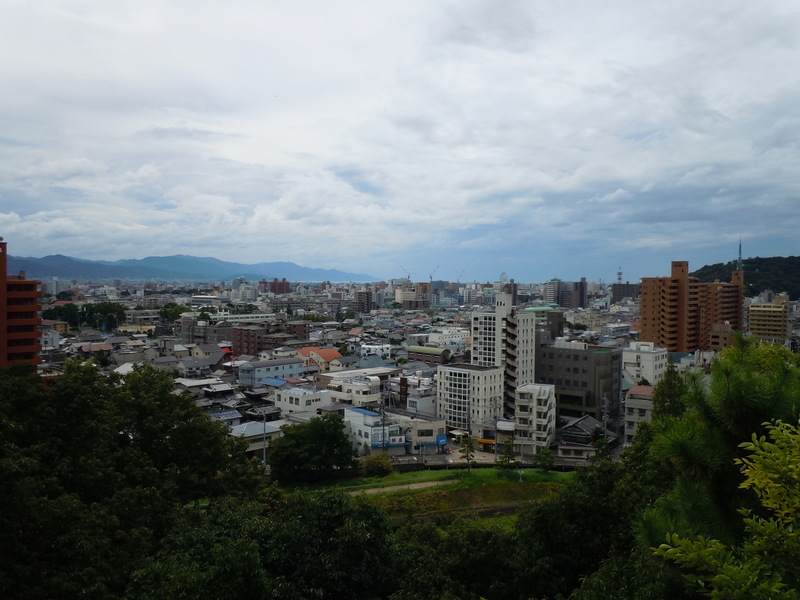 This is a view of the city from the top of a hill in Dogo Park. Mt. 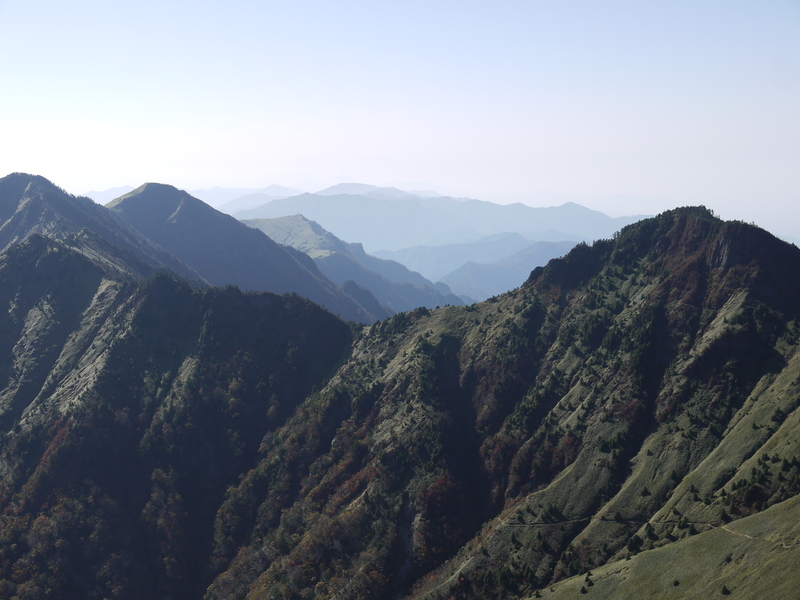 Ishizuchi, in Ehime, is the tallest mountain in western Japan. I climbed it with a group of my adult students on a lovely October day. The rugged landscape from the top was awe-inspiring, and made me want to climb many more mountains before I leave Japan. 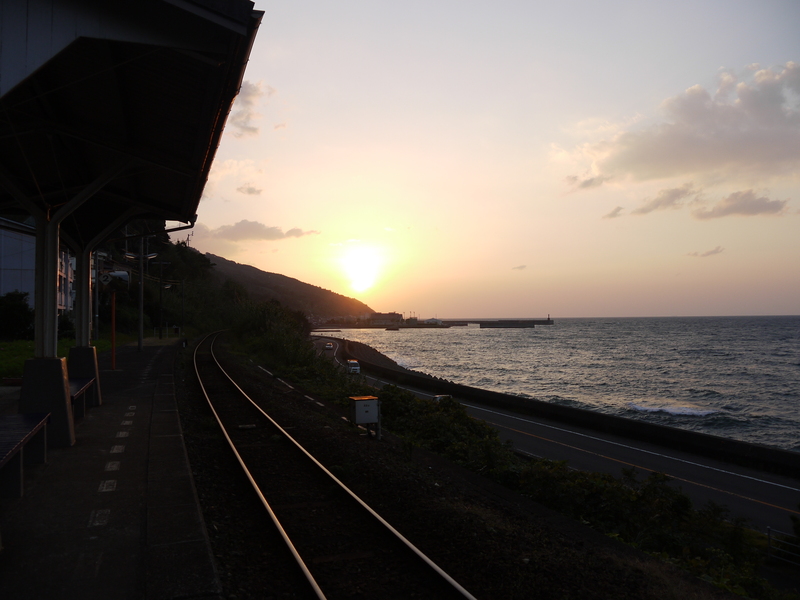 Shimonada Station in Iyo City, Ehime, is the said to be the closest train station to the ocean in Japan. One of my adult students, who told me this is his favorite place in Japan, took me here on a fall day to photograph the sunset. The holidays are sometimes the times when I feel homesick the most. I haven’t been home for a family Christmas in three years, and I miss my mother’s home-cooking and all the other comfort that comes with being around family. 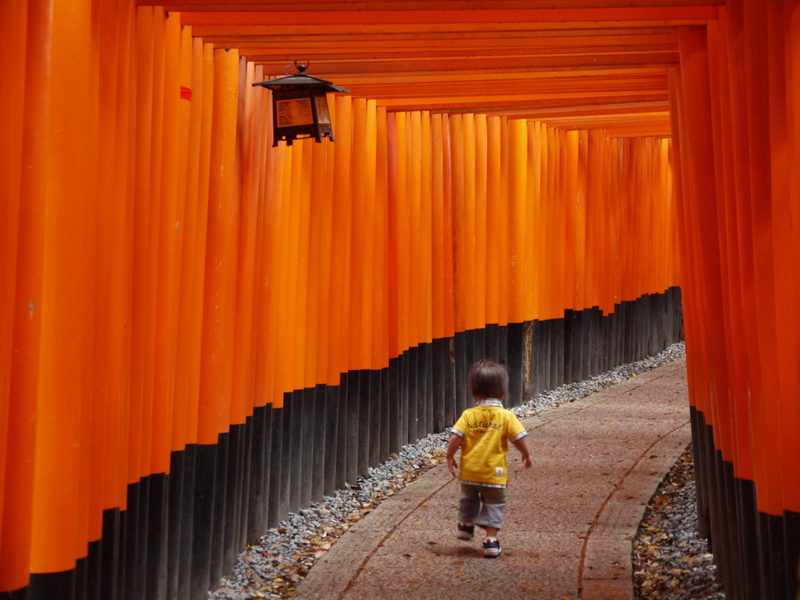 Thankfully, this year, I spent a day with my summer host family in Hiroshima. 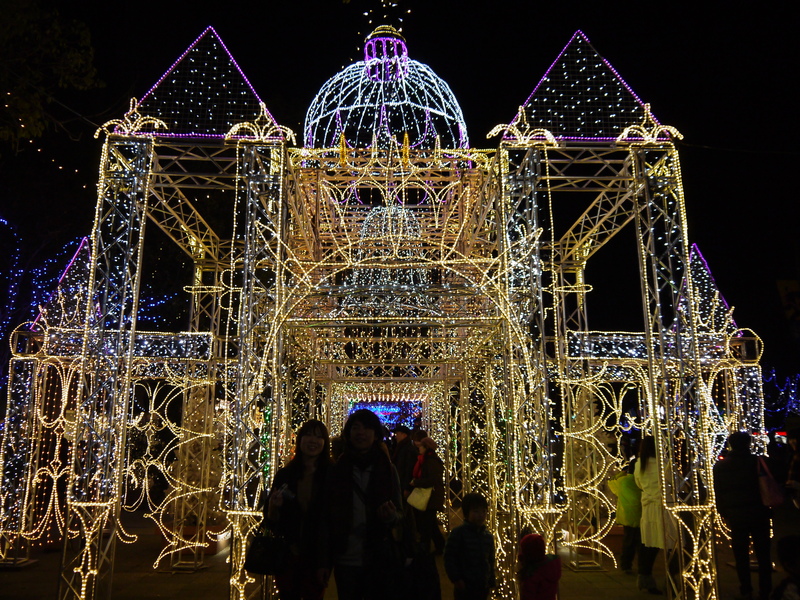 We walked around Hiroshima Dreamination, a spectacular collection of illuminations that recreates a fairytale world for children and adults.